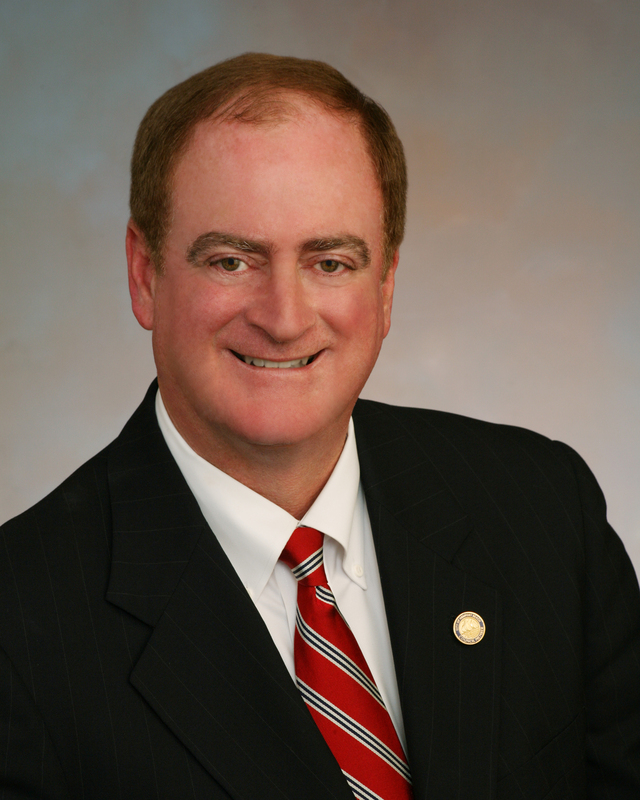 Newport Beach Mayor Keith Curry has declared his candidacy for the open 74th Assembly District seat. Curry was first appointed to the Newport Beach City Council in 2006 and has run three elections, including two with well-funded opposition, winning both by 10 points (He was unopposed in 2012). For over 20 years, Curry was a partner/owner of the nation’s largest public finance consulting organization, Public Financial Management where he advised states, cities and local agencies throughout the nation. The firm was sold to a private equity group in 2009 and Curry retired in 2011 to form the Center for Public Policy at Concordia University. He put together a board of bi-partisan heavyweights and has hosted several events in the past two years. Curry also teaches public policy and government leadership courses in Concordia’s graduate business school. Curry has a long Republican history, serving for five years in the Ronald Reagan administration as the Special Assistant to the Federal Transit Administrator, and prior to that as a Deputy to Los Angeles County Supervisor Pete Schabarum. In 2011, he led efforts to create a Ronald Reagan Centennial Memorial in Newport Beach. In 1978-79, Curry worked with Paul Gann and managed the qualification effort of Gann’s “Spirit of 13 Initiative” that limited the growth of government spending. Proposition 4 as it was known actually resulted in state tax rebates under Governor Deukmejian, but was later modified to limit its effectiveness. A 20 year member of the Lincoln Club, Curry demonstrated strong fundraising capability in his city council races. As the only candidate with the personal financial resources to self-fund his campaign, Curry appears to be in a very strong position out of the gate. He was selected by his fellow elected officials to be the President of the Association of California Cities Orange County, President of the Orange County Division of the League of Cities, and President of the Orange County Parks Commission. One of the biggest advantages that Curry has is his name identification in AD-74 both as a Newport Beach Councilmember and his teaching at Concordia in Irvine. His candidacy will likely end any speculation of Leslie Daigle jumping into the AD-74 fray. Based on the current field, Curry will likely be fighting it out with Huntington Beach Mayor Matt Harper to win this seat. Other candidates that have declared their intention to run for this seat include AD-72 staffer Emanuel Patrascu and former Santa Ana City Council candidate Karina Onofre. In my initial posts profiling AD-74 I had mentioned former CRP Treasurer Keith Carlson as a potential candidate for the seat. Everybody I have been talking with has stated that they doubt that Carlson will run for the seat and as of today he has not opened a campaign committee. Unless I hear otherwise I will exclude Carlson from future posts on the topic of AD-74. Harper and Curry are Councilmembers in two of the larger cities in AD-74. Newport Beach has approximately 50,000 registered voters and Huntington Beach has approximately 53,000 voters. Irvine is the largest city in AD-74 with it being home to approximately 62,000 voters but none of the three Irvine Council Republicans Steven Choi, Jeff Lalloway, or Christina Shea expected to announce their candidacy for this seat, especially since Choi and Lalloway live in AD-68. This race is going to be extremely interesting and we here at OC Political will keep you posted on new developments as they happen in AD-74. This entry was posted on December 4, 2013 at 4:01 PM	and is filed under 74th Assembly District, Huntington Beach, Irvine, Newport Beach. Tagged: Christina Shea, Emanuel Patrascu, Jeff Lalloway, Karina Onofre, Keith Curry, Matt Harper, Steven Choi. You can follow any responses to this entry through the RSS 2.0 feed. You can leave a response, or trackback from your own site.